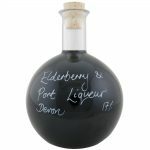 Respect your Elders, the Elderberry! Pretty sure nearly all of us have heard that command at one time or the other, and in reality it’s good advice! And as much as I do respect my elders they aren’t what or who this weeks show is about. I’ll be talking about elder’s for sure not just human ones. Join me on this show when I’ll be respecting the Elder, the Elder Berry tree. 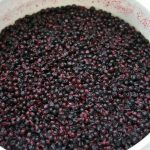 It’s said that when you want to harvest the flowers or the berries that you must first ask the Elder Mother Tree permission. The Danish believed that the elder plant was protected by Hyldemor, the Elder Mother. It was important to ask for permission before cutting an elderberry tree or else it could bring you bad luck and misfortune. Listen to this broadcast or download “Respect your Elders the Elderberry” in this player! The Elderberry has a long storied history, both positive and negative. The Germans and English believed that it was unlucky to bring elder wood into a house as this would bring ghosts or devils into the home. The Scottish would put elder wood above their doors and windows to protect their home from evil spirits and witches. In parts of the British Isles, they believed that bathing your eyes in the juice of the wood would allow you to see fairies. It was believed that the cross Jesus was crucified on was made of elder wood and that the tree Judas Iscariot hung himself on was an elder. These beliefs furthered the negative view of the elderberry plant. And it’s even said that elder wood is best for carving steaks in vampire lore. I am not one to challenge a belief but what I do know is that TODAY the elderberry is revered for her many health benefits and more. It is indeed wise to respect the elderberry and to find out more reasons listen in on player above. Come join the fun and learn some awesome ways to benefit from the elderberry! Next: Next post: Self Reliance and Independence!